The funniest and strangest things seemed to happen while doing Rodeo Week from the top of the boots in front of North Star Mall. Each morning about 4:30 AM Bruce and I would park near the boots, open the padlock on the insole of one of the boots and then literally hoist ourselves inside. Once we got inside, it was very dark and very scary. The flashlight we used, while climbing the first set of rickety and noisy wooden stairs, did little to push back the early morning darkness. Once we reached the top, we had to jump across a platform to a second set of stairs which we climbed until we reached the top. We (Bruce) flipped open the trap door of the plastic booth that sat on the top of the boot and we climbed into the tiny broadcast booth. We now started a stint of being stuck (without leaving) in this little plastic broadcast booth for the next more than three hours. 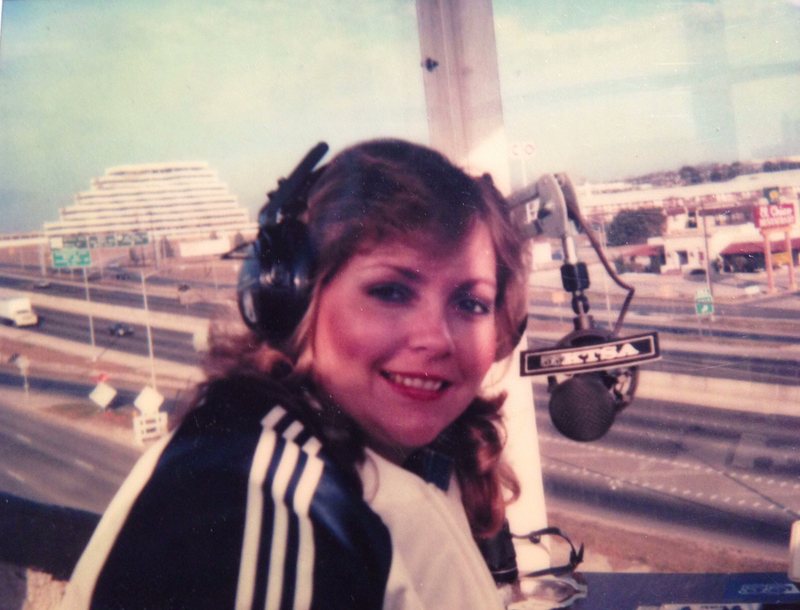 Bruce and I did our morning show on KTSA from the top of the boots because that stretch of highway along Loop 410 was the most heavily-traveled road at that time each morning. We were overwhelmed by the extraordinary kindnesses that people showed to us. Bruce would mention on the air that we were hungry. Very soon someone would swing by with breakfast tacos for us. Since the tacos were more than 20 feet below us, I would to lower a little bucket on a rope. They’d put the tacos in the bucket. I’d hoist the bucket up and Bruce and I would be hungry no longer. All kinds of people would stop by to say ‘Hi’ to us. One guy was selling pantyhose…Of all things. He brought me numerous pairs. Most just drove by and honked and waved. I quickly realized what a friendly community I had the good fortune to live and work in.